They say that baking is basically a form of chemistry, but nowhere is chemistry more apparent in the kitchen than on the set of Snoop Dogg and Martha Stewart’s VH1 show, Martha and Snoop’s Potluck Dinner Party. The duo recently dropped a preview for the next season of the show, and well, we don’t have words. Just watch it. OK, now that you’ve watched it 18 times like the rest of us, let’s discuss. I mean, picture-perfect parody doesn’t get much better than this. Also how come I have the hands of an 80-year-old woman but Martha’s look as polished, moisturized, and elegant as those of a 22-year-old hand model? Being rich must be awesome. 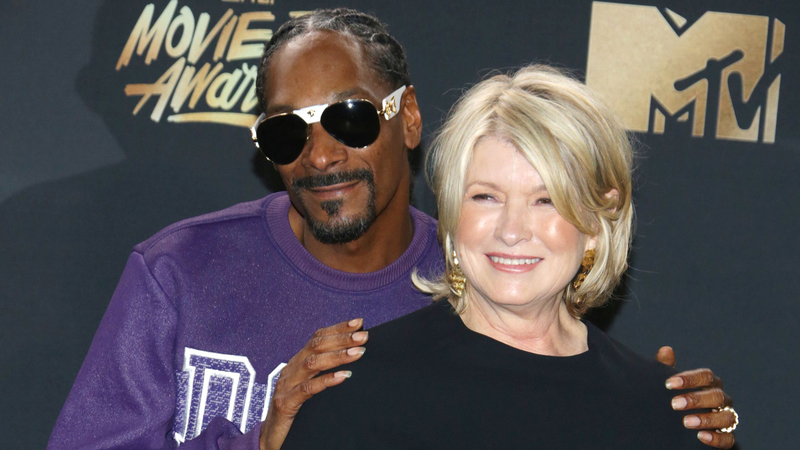 The show, which returns for its third season on April 3, features Martha and Snoop cooking with a slew of celebrity guests and musicians, but this season there’s a catch. It’s getting rebranded as Martha & Snoop’s Potluck Party Challenge, and will now be a competition. Instead of a regular airing schedule, episodes of the show will be released throughout the year on different holidays and special occasions. For instance? A mother’s day episode featuring Octavia Spencer, Fergie, Rumer Willis, and Toya Wright, and a “Summertime Block Party Smackdown” that will star all of the newly reunited Jonas Brothers and talk show host Loni Love. In a show where food has taken a back burner to the hosts’ chatter with guests, it will be interesting to see if the competition aspect centers cooking and food as essential to the show, or if we’ll mostly be caught up in the banter between Snoop, Martha, and their guests. Either way, we have a feeling that this season will be too good to miss if its even a fraction as hilarious as the trailer.